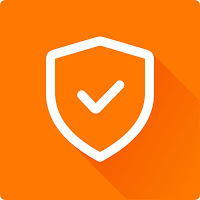 Avast Pro Antivirus is an essential security solution by Avast that provide universally trusted malware protection combined with additional features that offer more customization when it comes to protecting your PC. Run suspicious files in a safe test space using Sandbox, and protect yourself against DNS hijacking with Real Site. Avast Pro Antivirus will protect your PC without slowing it down thanks to streamlined cloud computing. Also comes with SafeZone, the world’s most secure browser, as well as an enhanced Game Mode to maximize your gaming experience. Note: Avast Pro Antivirus is also available in Free edition - Avast Free Antivirus. Note: to uninstall all Avast products from your computer use: AvastClear Uninstall Utility. Disclaimer: Direct downloads for the lastest version of Avast Pro Antivirus 17.6.3625.0 are provided by the official software's author, we can't guarantee safety, availability or download speed. Moreover, we don't and we won't provide any pirated/illegal versions or tools. We recommend you to avoid it as these methods can harm your device. If you like the software, buy it to support the developers. (We provide software discounts for many worldwide brands).